Description Commissioned artwork for Inteal Wine Jazz Bistrot in Thessaloniki. 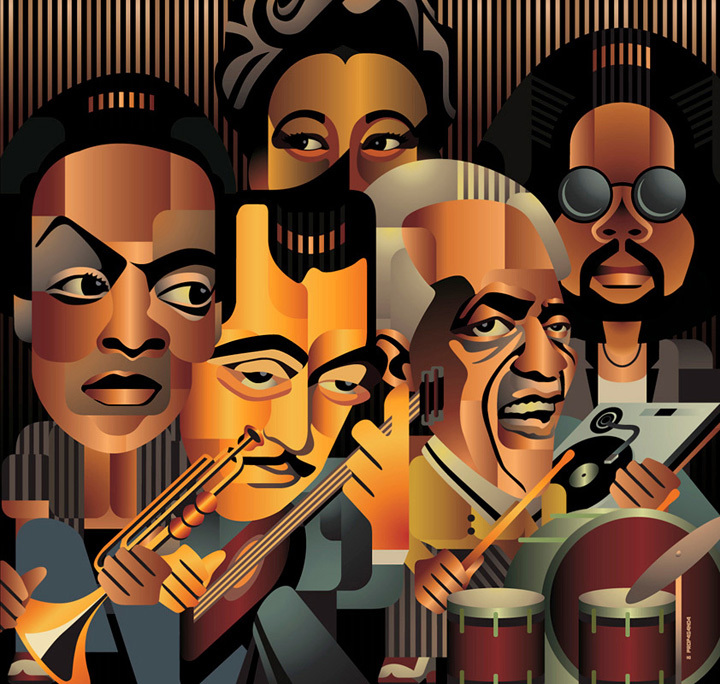 This illustration is a tribute to some great jazz musicians of all time. * (Kenny is the only living one as we speak. An outstanding blender of Detroit techno & various jazz elements. His legacy might not stand up to the rest of the gang, as of yet, but he's a personal favourite of the owner and put amongst them upon his request). This was placed on a wall next to the bistrot's entrance stairs.